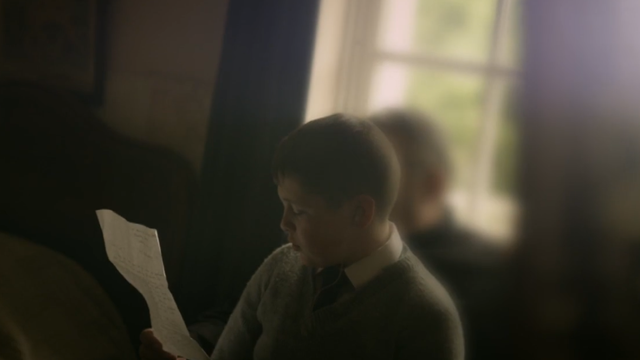 RTÉ landmark documentary represents a television first – an intimate portrayal of the Irish Deaf Community told through their unique experience of the controversial St Joseph’s School for Deaf Boys in Dublin. Presented by renowned Performance Artist and daughter of Deaf parents, Amanda Coogan. Dramatised flashbacks and interviews with survivors reveal a murky past of sexual abuse and corporal punishment of the young boys at the hand of teachers and Catholic priests at the deaf school. Amanda Coogan makes it clear that this abuse must never be forgotten, but that the impact of the school on Ireland’s deaf community, educating thousands and providing opportunities that simply wouldn’t have been possible in Ireland at the time, must also be remembered. Demolished in 2011, this controversial school has divided opinion among the community, and certainly among the men featured in Garry Keane’s powerful film, who for the first time, tell their story in their own words. For over 150 years the Christian Brothers’ run school provided an education, developed a community and offered a chance of a future. But for some, who experienced years of physical and sexual abuse within its walls, that opportunity came at a huge price.